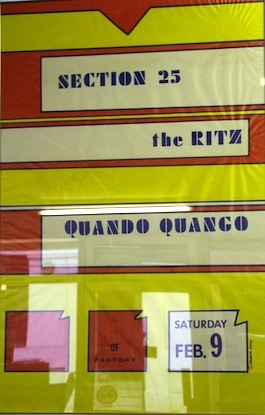 Notes: This is a poster for the 1985 SECTION 25/QUANDO QUANGO show at The Ritz in NYC. Yellow, blue, orange & white. 22.75" x 34.75".